As a vocalist, you want to record your vocals with the highest quality possible. Ideally you’ll be recording in a million dollar studio with top-of-the-line equipment, high-end room treatment, and a professional engineer that has spent years honing their craft. As a vocalist, you want to record your vocals with the highest quality possible. Ideally you’ll be recording in a million dollar studio with top-of-the-line equipment, high-end room treatment, and a professional engineer that has spent years honing their craft. BUT…this is not always possible, so I want to give you a few tips that will help improve the sound of your vocals if you’re recording at home. The MXL V69, TLM-103 and U-87 are examples of great sounding mics for different budgets. Picking the right mic is one of the keys to making your home recordings sound professional. Any of those 3 are great choices. One thing you won’t be able to fix later is distortion. Make sure you’re not “going into the red” and you should be fine. You don’t want reverb from the room showing up on your track. 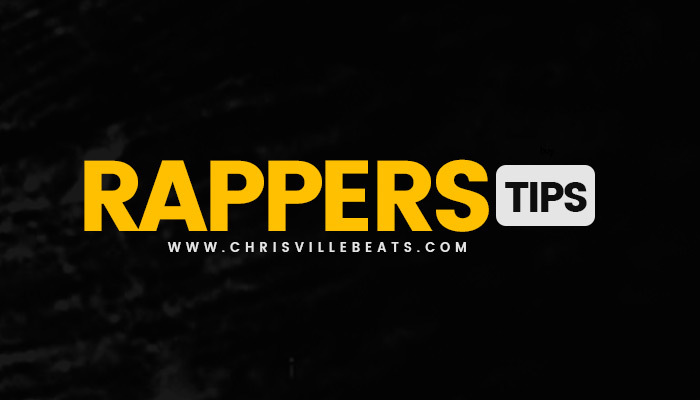 This is one tip that separates professional quality rap and singing vocals from amateur home recordings. Don't record in your bathroom! The Game is doing it wrong. You want to avoid hard surfaces and corners in your recording space. Try putting blankets on the walls, carpets on the ground and fill in corners and walls with foam. Clothes and couches absorb sound too. Be creative! Those are the big hoops with mesh stretched across them that you see in front of mics in professional studios. This helps prevent the “plosives” which are the popping sounds you hear when a vocalist sings words with the letters “p” or “b.” Click here to check one out. Mixing is an art form that takes a lifetime to master but there’s a few basic effects you’ll want to use if you’re mixing for yourself. You’ll want to use a compressor to even out volumes and add presence, EQ to cut annoying frequencies and boost others, and a de-esser to minimize hissing tones. This is really just scratching the surface of mixing, but it’s a good place to start! The #1 thing you can do to make your songs sound radio ready, no matter where they were recorded, is to have them mixed by a professional. Chrisville has mixed songs for artists like Bonnie Legion, Majik, Tech N9ne and lot more, so we can get you sounding right! In fact, Chrisville members get their songs mixed for free. Click Here to learn more. I've heard too many songs that had potential to be successful, but never were because of amateur mixing and mastering. Let us help you to not make that mistake. If you have any questions about recording, mixing or anything else, please let me know. Please note that some of the links on this page may be “affiliate” links, meaning if you click on them and buy, we could receive some compensation (at no extra cost to you). But I'll always only recommend products that I use myself and recommend to friends.